They are sophisticated innovators and passionate collaborators who translate complex, cutting-edge research into world-changing action. They have learned from the best, traveled the world, discovered career-expanding opportunities – and made their homes – in the Queen City. 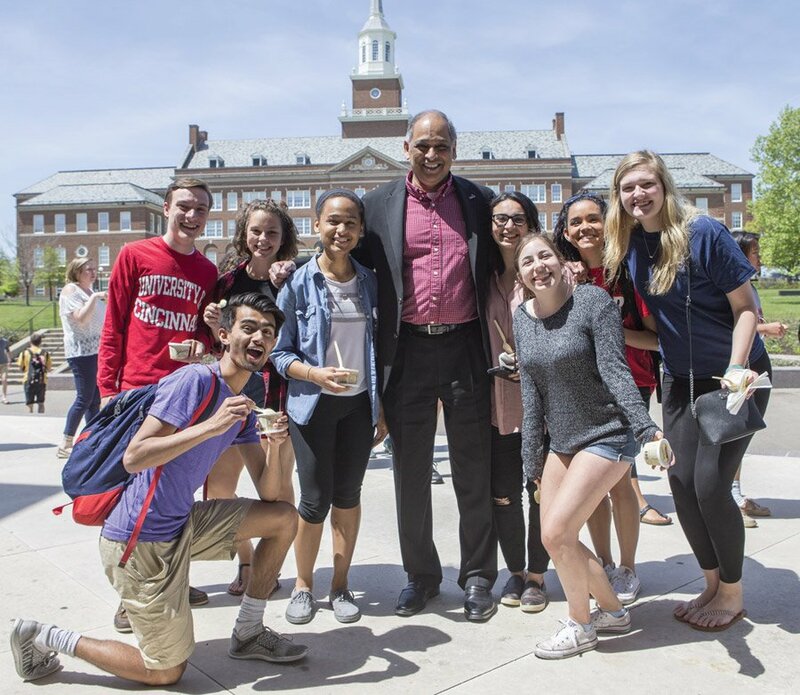 Rising leaders and researchers at the University of Cincinnati, encouraged by the institution’s newest president, Neville Pinto, focus not only on making a difference in their classes and the lives of their students but also in doing so in their communities and the world. “We are determined to lead urban public universities into a new era of innovation and impact,” said Pinto. His appointment to the UC presidency in 2017 marked a homecoming for the former chemical engineering faculty member and administrator who had spent the previous six years in leadership posts at the University of Louisville. With work stretching across the region and around the globe, these UC change makers embody that “Next Lives Here” vision as they illuminate the potential, and the far-reaching impact, of a dynamic, community-driven, research-intensive university. 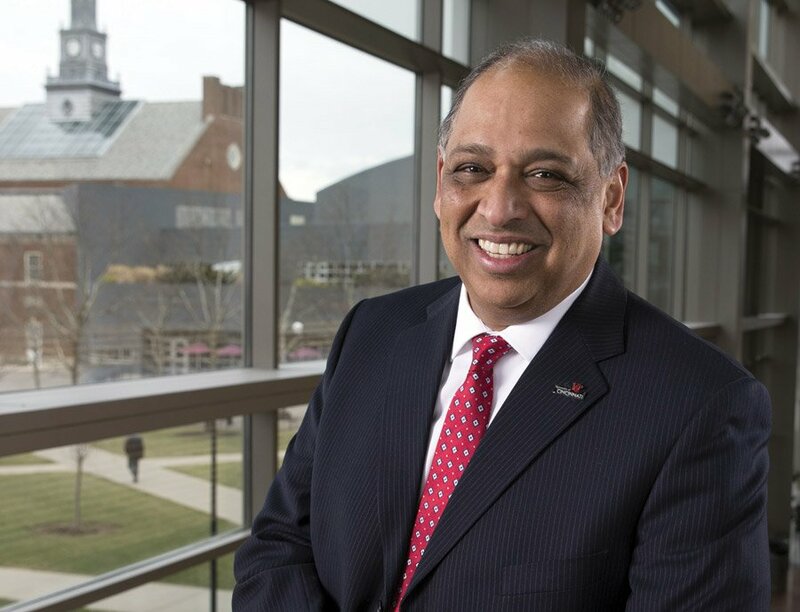 Pinto, a native of Mumbai, India, made history when he was named UC’s 30th president. He is the first president to rise from the ranks of UC faculty since Herman Schneider – founder of cooperative education – was hired for the top role in 1928. And, like his 20th century predecessor, Pinto continues to build an impressive track record of innovation and impact. Pinto’s engineering research bona fides won him the respect of his peers and his superiors: The award-winning teacher and mentor holds multiple patents. He was elected to the National Academy of Inventors in 2010, one year before he left UC to become dean of the Speed School of Engineering at the University of Louisville. There, he forged inventive collaborations with businesses, including General Electric, as he increased enrollment and built meaningful opportunities for students and faculty, helping them turn research into action. And, like predecessor Herman Schneider, Pinto understands the value of cooperative education. New Co-Op 2.0 initiatives, he explains, have an ambitious goal of doubling the number of students participating in co-ops and internships. As he leads an institution with a reported $4.2 billion impact on a 16-county region, Pinto said it is critical to share the many benefits of a public research powerhouse with the communities it serves. “I think people don’t always realize what a driving force the University of Cincinnati is right here in our hometown. Building, making and doing come naturally to Stephanie Sadre-Orafai. In her first year as a professor at UC, she began building bridges between the College of Arts & Sciences and the College of Design, Architecture, Art and Planning as she co-founded a new certificate program, Critical Visions. She forged collaborations in and outside of her home department of anthropology and pushed students from all disciplines out of their comfort zones as they talked about race and belonging in the United States and the ways that visibility and representation matter. The students, and her colleagues, loved it. 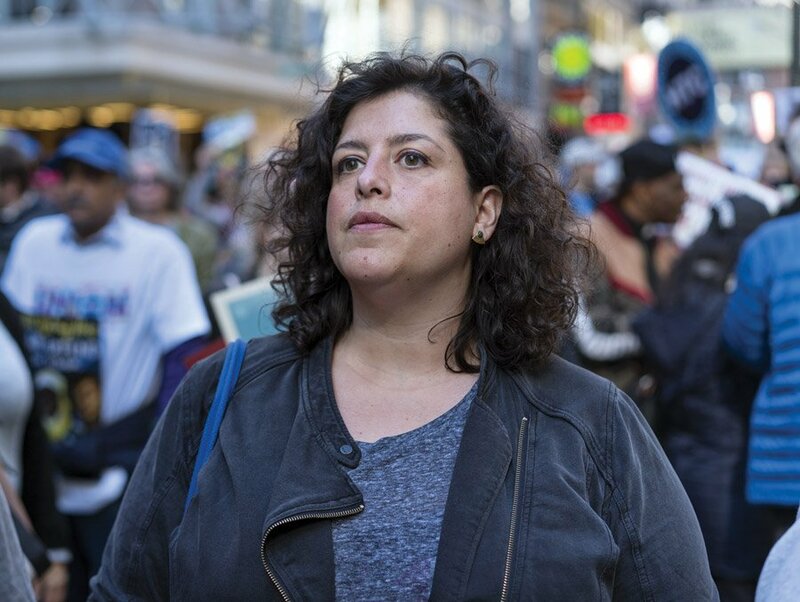 “The kinds of questions I ask as an anthropologist about race, visual culture and social justice are shaped in large part by my family background and experiences growing up Iranian-Mexican-American in the South,” said Sadre-Orafai. She earned an undergraduate degree from the University of California, Berkeley, and advanced degrees from New York University. Sadre-Orafai has curated exhibits, organized symposia and exhibited her own creative works, as well as published extensively in anthropology journals and fashion and photography publications. The mostly coastal scholar was pleasantly surprised when she visited UC’s campus for an interview. Patrick Ray’s passions for traveling, problem-solving and family run deep. 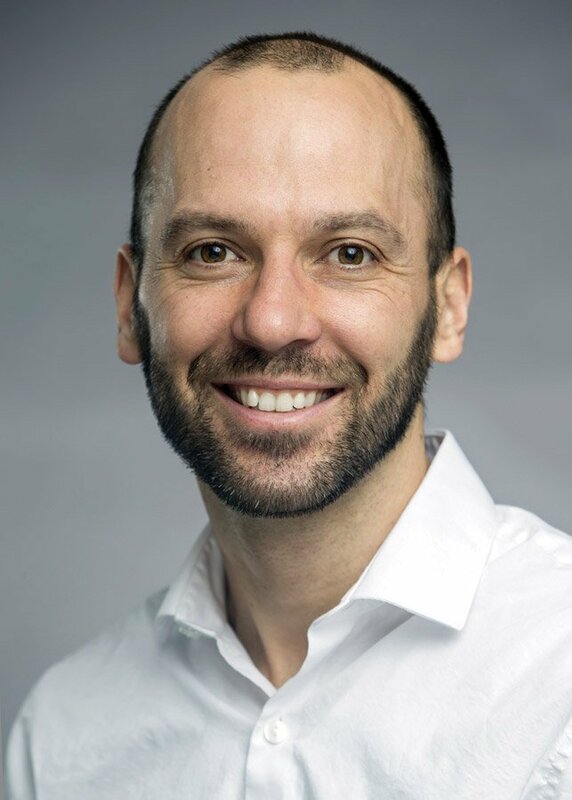 The assistant professor grew up in a fishing town on the North Shore of Massachusetts and took his own family abroad to work as a water systems engineer and economist in Jordan, where he served as a Fulbright Scholar. His work also has taken him to Indonesia, Kenya, Lebanon, Mexico, Nepal and Yemen. Ray, a former Massachusetts Institute of Technology Climate CoLab Fellow and prolific water resource management scholar, quickly found a new passion in his new home. “I’ve fallen in love with the Ohio River,” he said. The largest river by flow in the United States is also rated by the Environmental Protection Agency as the most contaminated surface water body in America. It provides an ideal and important opportunity for an engineer whose novel approach to ensuring water safety and security has been adopted by the World Bank. In addition to international recognition, it earned him an invitation to present at the White House earlier this year. “It is a river with consistent flood and contaminant spill problems,” Ray said of the Ohio. “It is also the water my two young boys drink every day. Though a large number of excellent institutions look after the river, there is, to my understanding, far too little coordination among them.” Ray aims to change that and is connecting many existing groups to help develop a software tool for improved river management. “If we’re successful, we’ll be able to use the tool to manage the multidimensional risks facing the 25 million people of the Ohio River watershed, with outcomes like cost-effectiveness, resilience, ecological sustainability and safeguarded public health. If we’re successful, that would be really terrific,” he said. Students, colleagues and the community are taking note. Just this summer, Ray was named the American Water Resources Association’s 2018 A. Ivan Johnson Outstanding Young Professional. 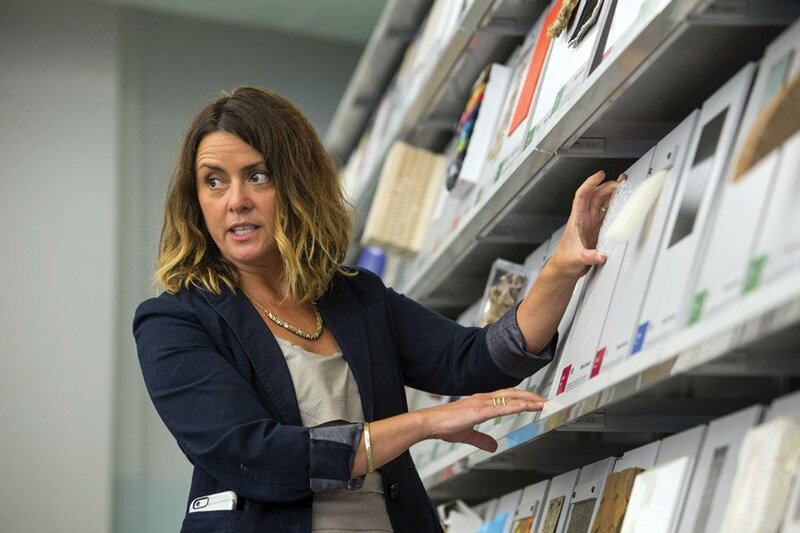 In less than a decade at UC, Jennifer Krivickas has helped reshape the library at the College of Design, Architecture, Art and Planning, where she serves as head. She also has created multi-year, multidisciplinary classes that have given students rare opportunities to work with museum professionals. And she has developed new humanities-centric approaches to supporting faculty and student research across disciplines. While Krivickas continues to rethink what libraries can offer their users, she also led efforts to create the university’s first Research and Innovation Week in April. The result drew researchers, regional leaders and the general public into conversations about cutting-edge water monitoring technology, the impact of community design projects on urban development and building a smarter, more connected region. “The work I do with the Regional Smart Cities Initiative and Smart Cincy has led to UC researchers making connections that turn research into reality,” Krivickas said. She notes deeper and expanded efforts to partner UC’s talent with a wide range of governmental, industry, nonprofit and community leaders. 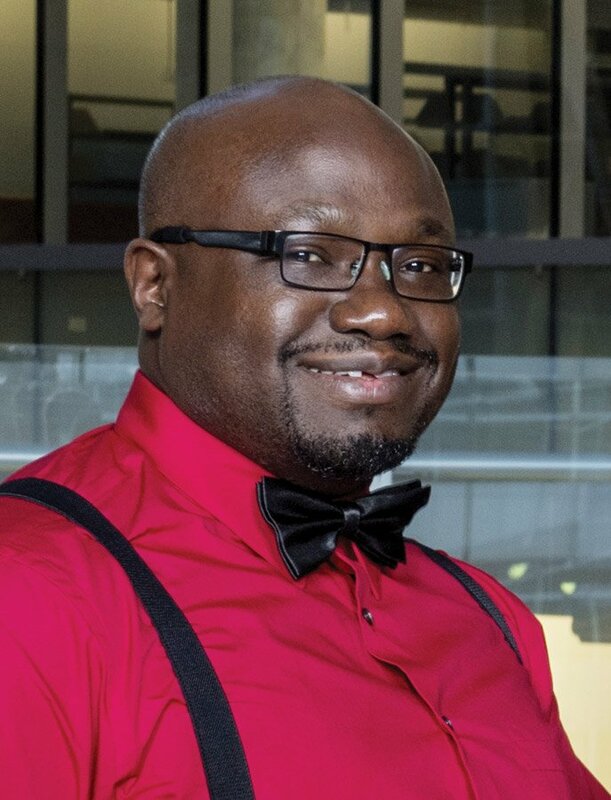 Dr. Oluwole Awosika brings more than an elite academic and professional pedigree to his work as a neurologist and rehabilitation specialist in UC’s College of Medicine. He brings a deep and personal understanding of the importance of patient care and the cutting-edge research needed to advance its success. Before he earned bachelor’s degrees in neuroscience and physiological science from the University of California at Los Angeles; before he earned an M.D. at the University of Illinois’ College of Medicine; before he completed a neurology residency at Harvard Medical School and a post-doctoral fellowship at the National Institutes of Health focusing on post-stroke brain rehabilitation, he was an immigrant with a serious case of malaria. Add the internationally recognized multi-disciplinary team of researchers at UC – including neurologists, physical and occupational therapists, speech therapists and others – and Awosika was sold. As co-director of UC’s Neurorecovery Lab and the Stroke Recovery Research Team, Awosika has pioneered therapies that have helped patients recover mobility years after strokes, making life-changing strides they never thought possible. For Ohio native Stephen Slaughter, blending art with architecture is an important part of marrying form and function. After earning undergraduate and graduate degrees in architecture from The Ohio State University, he built a successful career in California. Family, in the form of his father’s failing health, brought Slaughter back to Ohio and into a new career at UC. In Houston and Los Angeles, Slaughter worked on public projects with residents and nonprofit organizations. Those collaborations planted seeds for his work with youth in Cincinnati, both in DAAP training programs and in the community. The ability to be a part of MetroLab, a public interest design-build program that pairs UC students and professors from various disciplines with community partners, added to Cincinnati’s appeal, said Slaughter. 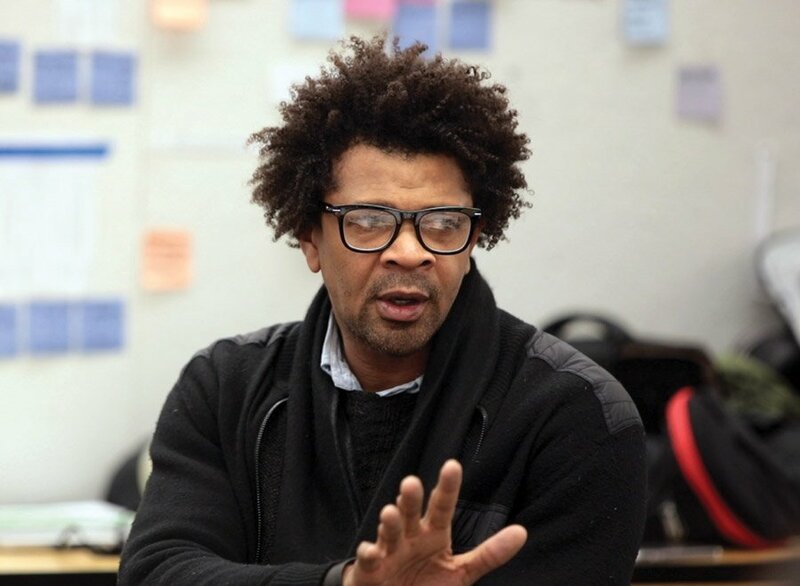 He also serves on the board of Elementz, an urban arts center in Over-the-Rhine. He said connecting youth from Elementz with architecture students sparks conversations and understanding across differences, as well as inspiring architecture projects that are informed by real-world needs. “Through MetroLab, I work to have a positive impact,” said Slaughter, who has helped lead a summer DAAP camp for 13 years. He relishes the opportunity to create a pipeline for students who otherwise might not have considered careers in architecture. “I want to change how architects approach working with communities and to provide pipelines for youth interested in architecture,” he said. Former middle school teacher Kathie Maynard moved to Cincinnati nearly two decades ago. 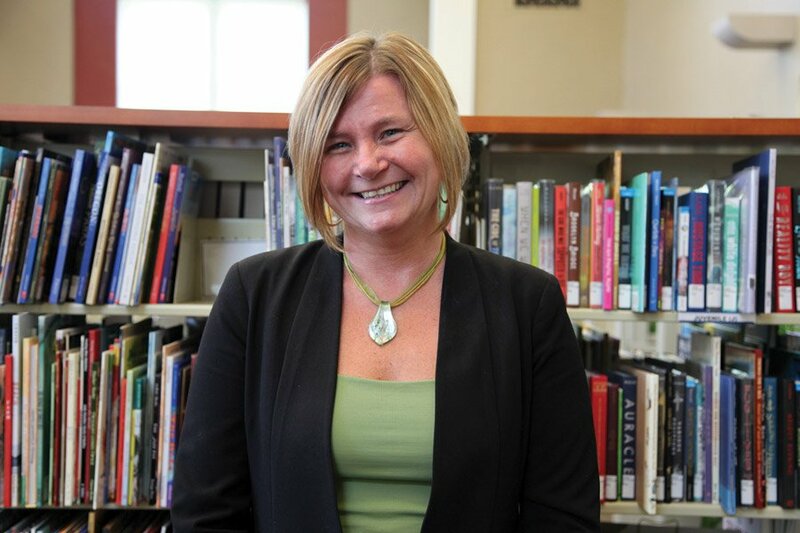 Since then, she has broken new ground in connecting public school students to post-secondary learning opportunities at UC. Maynard grew her academic muscle in Cincinnati; she earned her master’s and doctoral degrees at UC. “UC has provided me the right supports and networks to become a change maker working to transform public education for the region,” she said. That continuing transformation requires leadership on and off campus as she navigates a growing list of partnerships. Her extensive efforts in leading the Greater Cincinnati STEM Collaborative and the UC Scholars Academy earned her the first associate deanship of innovations and community partnerships, a position she relishes. The collaborative works to prepare more students for careers in science, technology, engineering and math. It has engaged 3,000-plus students in collaboration with 150 partners in nine counties across three states. Through the UC Scholars Academy, Maynard supports preparation, access and success for Cincinnati Public School students at UC. When Reneé Seward saw a friend’s young son struggling to read, she went from feeling helpless to feeling inspired. 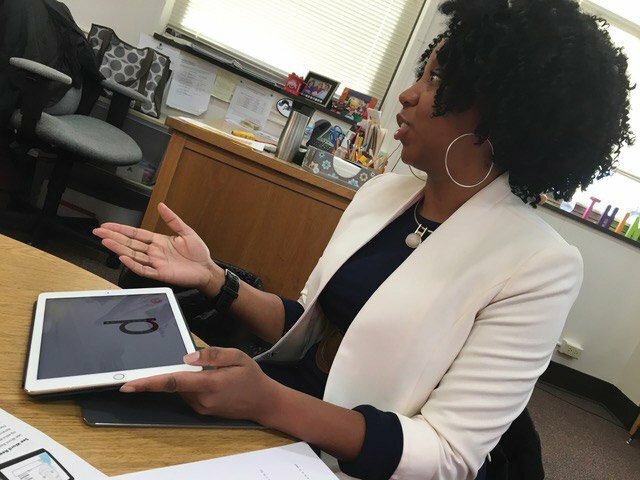 It wasn’t long before the Cincinnati native and UC alumna saw the challenge as an opportunity to put her graphic design and problem-solving skills to use. The result, See Word Reading, is an educational application, as well as a Cincinnati-based tech startup, that helps early-learning educators and parents provide personalized, fun and engaging lessons to improve children’s literacy skills. Early findings for the interactive digital tool proved promising for Seward, who discovered an eager audience among literacy advocates and teachers working with dyslexic students. She found support at UC from her team, which includes researchers from the College of Education, Criminal Justice and Human Services. “My hope is to have a startup company that produces new innovators to address educational challenges for all types of learners,” Seward said. In addition to her innovative education-focused work, Seward – who earned a master’s degree in North Carolina – relishes her role as a graphic communication design professor, a position she has held since 2009. “I wanted to bring all my new knowledge back to my alma mater and help educate and influence the next generation of designers,” she said.